The American writer Gordon Taylor mentions this quote in his book Fever & Thirst (2005) He praises Bird for her fine observations, but he also notices that maybe the most impressive scene is left out in Bird’s verbal picture – the shaven heads with just two top-knot pigtails of the Assyrians of the Jelu tribe. 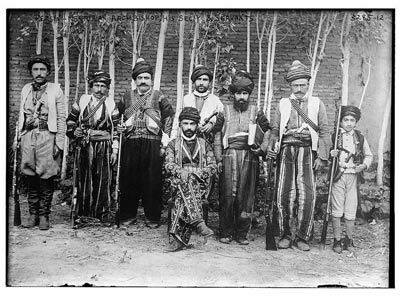 These fierce tribesmen, Nestorian Christians like the other Assyrian mountaineers, lived till 1915 in the roughest mountains of Hakkari. Yet walking around the way they did, they must have looked more like Asiatic warriors, lost and forgotten in the mountains of Kurdistan. The British clergyman Rev. George Percy Badger visited the tribal area of the Assyrian mountaineers or Hakkari Nestorians in 1843. In his book The Nestorians and their Rituals (1852) he told the story of his adventurous voyage. He reached Lower Tyari and stayed in Asheeta or Ashita, the largest village of the Tyari tribe in that region. Nowadays the place is Kurdish and it is called Cigli, which is its Turkish denomination. Badger noticed that the costume of the male Assyrians consisted of a wide pair of shalwar or trousers, bound round the waist by a running string or fastened with a girdle. 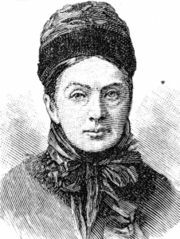 Under the vest was a white cotton shirt, and above it a coarse woolen coat, striped with white and black. On their head they wore a conical felt cap. Priests and important laymen however wore a round cap, secured to the head by a small turban. According to Badger all men kept their hair close shaven and on the crown of their head they had two plaited locks hanging down their back. So, the hairstyle of the Assyrian Jelu tribe wasn’t really exceptional after all, since Badger observed that the Tyari Assyrians of Ashita wore their hair in the same way. What a sight it must have been! And what a pity there are just a few descriptions without illustrations left to give us a general idea of that colourful Nestorian dress code and haircut many years ago in the remote Hakkari mountains of Ottoman Turkey. From the middle of the 19th century onwards the Assyrian mountaineers were visited by western missionaries and travellers who got fascinated by their Nestorian Christian rituals, their age-old traditions and their tribal way of life. The focus was mainly on the male Assyrians. But what about the Assyrian women in those mountains? They kept in the background and obviously didn't get the attention the western travellers paid to the Assyrian clergy and village leaders. All of them, priests and tribal chieftains without distinction, fully armed and always ready to engage in raids against their Kurdish neighbours or against Nestorians from another tribe. No doubt it was a men's world among the high peaks of the Hakkari mountains.